R.J.Toomey Liturgia Front Wrap Alb. 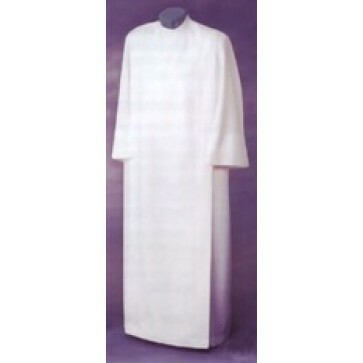 Available in White Midweight Woven Polyester. R.J.Toomey machine washable double paneled Front Wrap Alb has hidden velcro closures at shoulders. Front and back panels fall graciously.